3M Command Adhesive Poster Strips sticks your artwork, posters, plans and documents on a wall securely without surface damage upon removal. Ideal for gallery exhibitions, rental homes and offices. 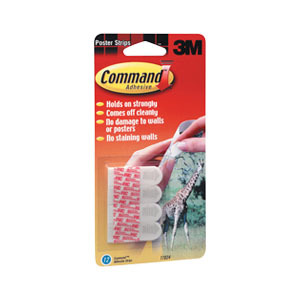 3M Command Adhesive Poster Strips will hold a variety of lightweight objects firmly without sagging or falling down.